Steve's work has a very romantic and poetic vibe to it. 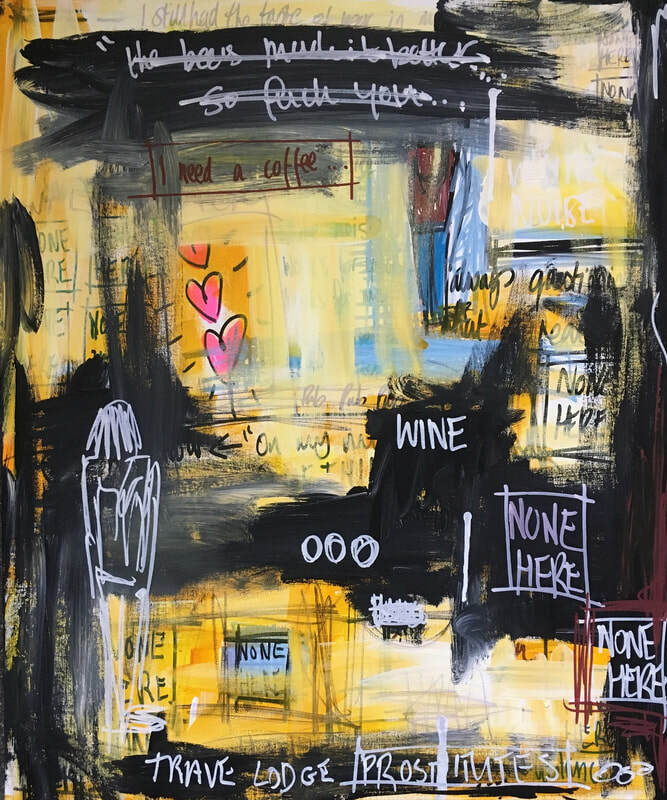 His use of colour and text blend his ideas and feelings into very expressive paintings. Whether it's his NONE HERE abstract mixed media paintings on canvas or his watercolour birds on paper, even to his large murals and street art Steve's edgy and unique style is instantly recognisable conveying a sense of freedom and romance. Taking influences from everyday life, he captures moments and imagery which his audience can immediately relate to allowing themselves to get lost within the layers and movement of his work. Steve exhibits regularly in London and throughout the UK and has recently had work on show in Brooklyn, NYC. He is also known for his murals in schools and street art throughout London as well as leaving small canvases pasted up in major cities such as Berlin and Split for anyone luckily to find one.